New York Gov. Andrew Cuomo announced on Feb. 19 that he would invest $6 million to allow more participation in computer science education at elementary and middle schools across New York state as a part of the Smart Start Program. Among other things, Smart Start provides grants to schools for professional development for teachers in computer science and the creation of a task force to develop modernized computer science standards for the twenty-first century. The gender gap has been an ongoing issue within the computer science industry. In the United States, only 18 percent of bachelor’s degrees in computer science were awarded to women in 2016, according to a survey conducted by the Computing Research Association. This issue even extends to Stony Brook University’s computer science department. According to enrollment data from Stony Brook’s Office of Institutional Research, Planning and Effectiveness, only about 20 percent of current computer science students are female. Although there is no clear cut answer as to why the number of women in the computer science field is so low, Stony Brook Computer Science Department Chair, Samir Das, said that one reason could be that the field tends to have a bias toward women working in it. “There is some feeling in the way the industry operates that it’s discriminatory towards women. An example of this is they often have to work long hours and stay up all night to finish up coding and that may not be an enticing lifestyle,” Das said. Chen says that the lack of women working in computer science in the first place makes it even more difficult to attract new women. “It already creates that imbalance, and from there, women are discouraged from getting into that,” she said. Kamile Demir, a sophomore computer science major and SBUHacks organizer, said that the only way to bridge the gender divide in computer science is by introducing it to women at a younger age. 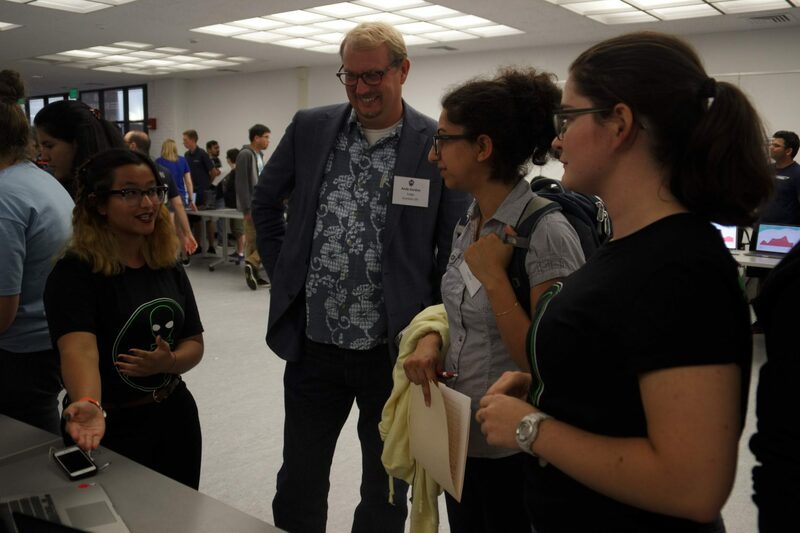 Stony Brook has a number of different events and programs on campus for female computer science students including Major League Hacking (MLH) hackathons, job fairs and campus organizations like Women in Computer Science (WiCS). The university has also partnered with KidOYO, an organization aimed at teaching coding to grade school kids across Long Island. Aside from creating programs and initiatives to help increase interest outside of the classroom, some, like computer science Professor Anita Wasilewska, believe teaching computer science in primary school could help bring more women into the field. One issue that has become controversial within the field is the use of quotas aimed at increasing diversity within a company. In 2018, a former recruiter for YouTube, Arne Wilberg, filed a civil lawsuit against the company claiming they had instituted quotas in an attempt to diversify their staff. He argued that recruiters were told to cancel interviews with applicants who weren’t female, black or Hispanic. In Chen’s view quotas can often do more harm than good because they give the appearance that women in computer science are less qualified than their male counterparts.